is very comfortable to wear. You will get many compliments. 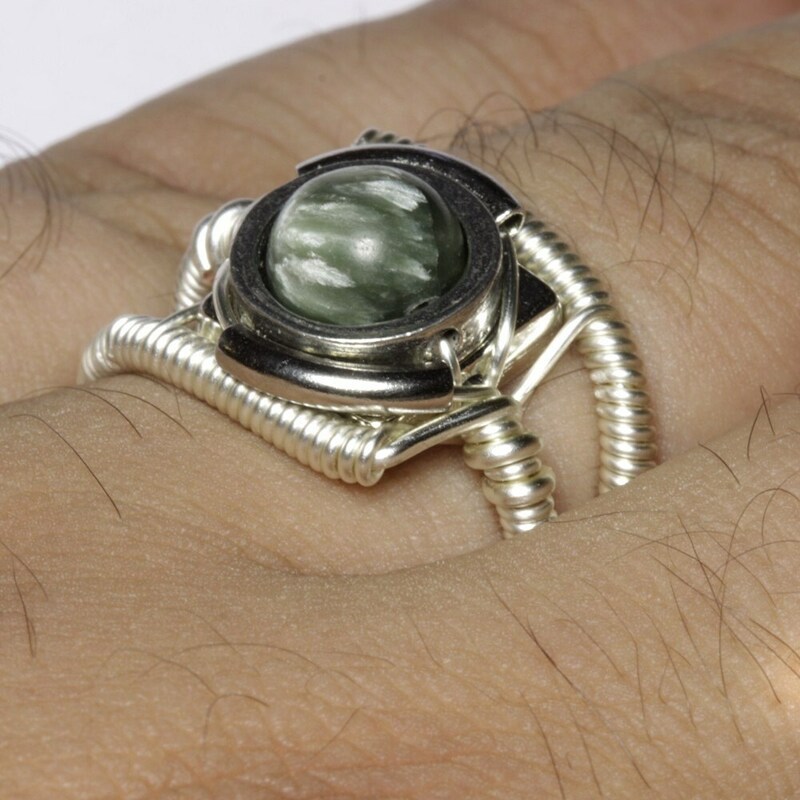 This Cyberpunk ring can be made into size from 5 to 12 US. Please indicate the size you need in note to seller during check out . See our Shop Policies if you would like to know more about us and for the terms & conditions. We strive to ship all orders within 48 hours of receiving the total cleared payment of the item(s). If you require faster service or shipping upgrades please advise at the time of purchase and i will do my best to ship it out quickly. Keep in mind that all items are handmade and may take a few days to make before they are shipped. Please contact us before placing your order to know exactly when the order will be expected to arrive. ** I'll do my best to meet these shipping estimates, but cannot guarantee them. Actual delivery time will depend on the shipping method you choose. If you do not receive the item in these specified time, please contact us . * Buyers are responsible for any customs and import taxes that may apply. I'm not responsible for delays due to customs. * Packages to Germany , Italy and Poland are often delayed by customs ,some packages can take between 6-8 weeks to arrive . Please order well in advance if you need to receive the package for a special occasion or contact me to upgrade to a faster shipping option when placing the order. *Please provide the ring size information as soon as possible . Orders with missing information may cause additional delays . All Shipment are Traceable online. For price to other location please contact through ETSY conversation system . Item are sent into a Protective Bubble Mailer. Return Policy: Satisfaction is guaranteed! We must be contacted before returning the item. Item must be returned within 7 days of receipt. Refund will be purchase price, less shipping charges. A restocking fee of 10% may apply. The products must be returned in new, resalable condition. You must include all packaging materials. You must pay for any return shipping expense. Please include a Letter of direction with reason of return. Custom orders are non-refundable. Custom size rings are non-refundable. Ring Size / Exchange policy . It is very important to obtain the correct ring size information from a professional jeweller before ordering . It is not recommended to try measuring the ring size at home. If you selected the wrong size , I will charge a re-sizing fee of 10$ per ring + the return shipping fee . First Please contact me to verify the availability of a replacement and i will give you the instruction on how to return the ring . The ring size will need to be verified by jeweller , most jeweler are happy to offer this service for free . 1# What type of wire do you use? Mainly Silver Copper filled non-tarnish wire, Non-Tarnish Brass and Natural copper . We only use allergy free material. Nickel Free . 2# How can I find out my finger size? The best way to calculate the ring size is to stop by a jewellery shop. Most jewellery shop will offer that service for free. You can also measure the EXACT inside diameter of a ring that fits well in millimetres. Then I can convert it to US standard size. 3# What should I do if I want the ring in a different size? Please indicate in note to seller the size you want. 4# How can I contact you? It is preferable to convo me, this will ensure a quicker response since we Log in to ETSY several times per day. 5# Do you offer wholesale? Yes, Please contact us for pricing. 6# Do you offer Consignment? 7# how do I request a custom order? You can convo me with the details and description of the ring you would like us to make for you, once ready we will list the item and reserve it for you. 8# Will i receive my order in time? Please order well in advance if you need to receive the package for a special occasion. Keep in mind that all items are handmade and may take a few days to make before they are shipped. Please contact us before placing your order to know exactly when the order will be expected to arrive. If your order is urgent i will do my best to rush the order and i can also recommend faster shipping options. We only use allergy free materials and our studio is non-smoking. 10# Does you jewelry contain nickel ? All our jewelry is 100% nickel free . 11# Are your steampunk rings unisex ? Yes , My steampunk rings are Unisex. I sold many pair of rings for couples and engagement. 12# What materials do you use? What techniques do you use ? My Jewelry is made of copper, brass and silver . I also like to use clock parts , natural stones and other quality materials. Our Jewelry is nickel free. 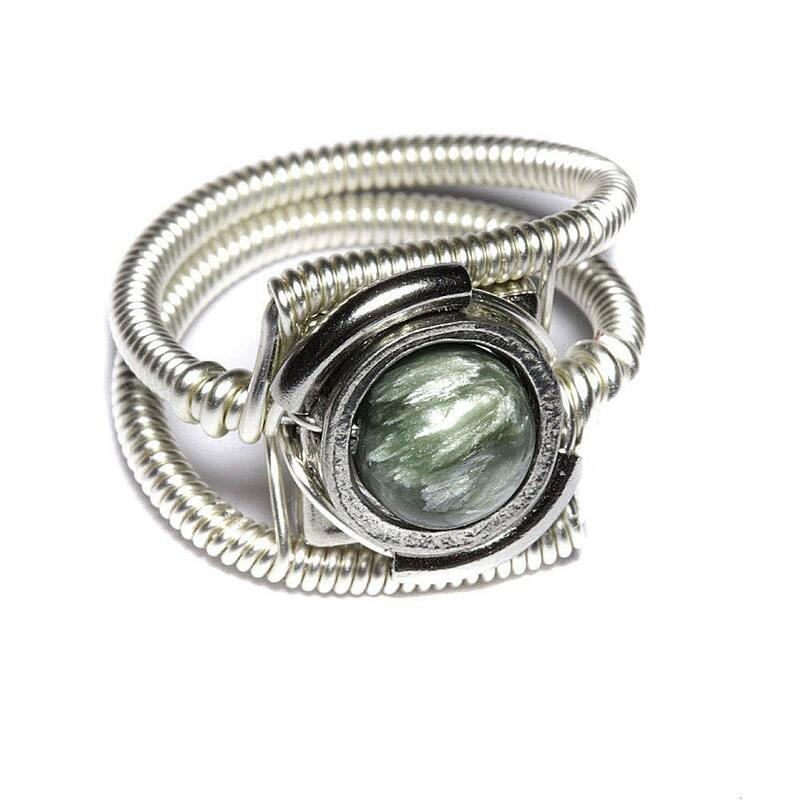 The main technique used is wire-wrapping and several techniques i developed over the years. 13# Can i order a ring for my kids ? Our items are not intended for children . It is best to Keep jewelry in separate compartments or wrapped in tissue in tiny plastic bags, to protect pieces from scratching each other. Showering , Swimming and cleaning can damage your jewelry so avoid extensive contact with water and always remove your jewelry first. Also, exposure of jewelry to chlorine and other chemical such as dish washing soap , perfume , hair Spray can increase the risk of permanent damage. Avoid wearing jewelry when doing rough work or engaging in sports, to minimize the risk of breaking or chipping. If you have any question ,I will always be happy to help . For purposes of EU data protection law, I, [name], am the data controller of your personal information. If you have any questions or concerns, you may contact me at [email address].